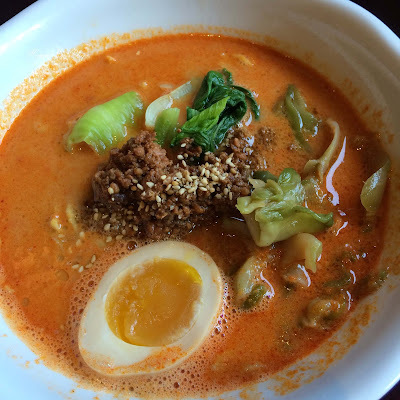 After some morning shopping at Ward Village, our family dined at AGU Ramen for lunch. 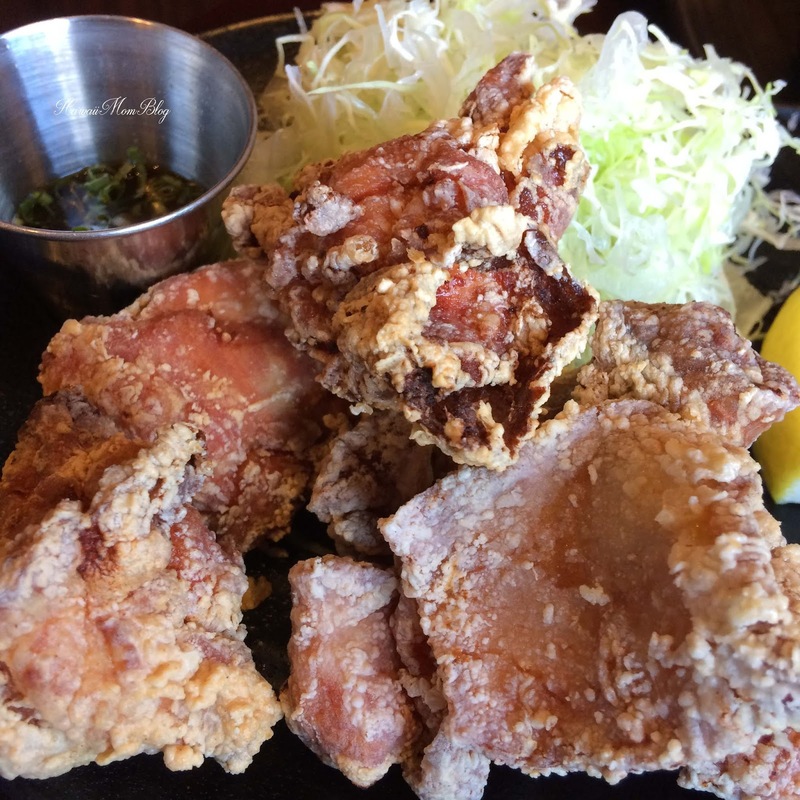 I had previously had a taste of their ramen and karaage at a dine-around, so I was eager to go back for more! 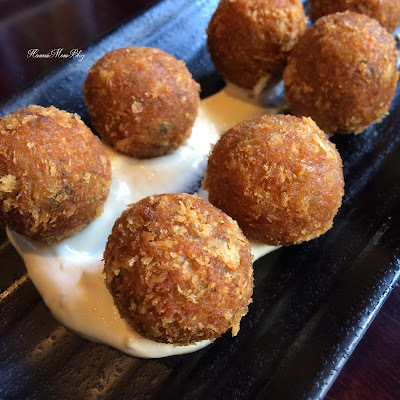 We ordered a variety of small plates, and my favorite was the Croquette. Dumplings made out of pork cheeks and onions were rolled up and deep fried, and it turned out to be so delicious! 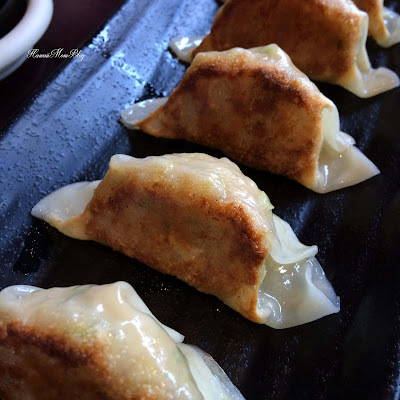 Made fresh daily, the Gyoza is some of the best I've tried, and the Karaage paired perfectly with a ponzu sauce. 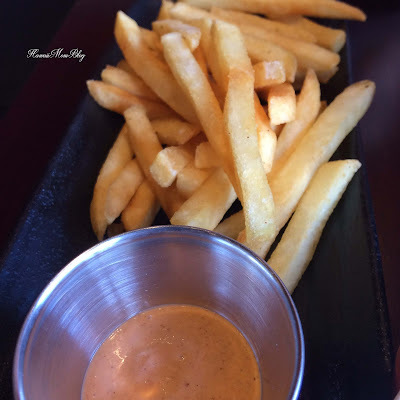 The Fries were served with a Volcano Sauce that had a nice kick to it, but my kids happily ate the fries as is. 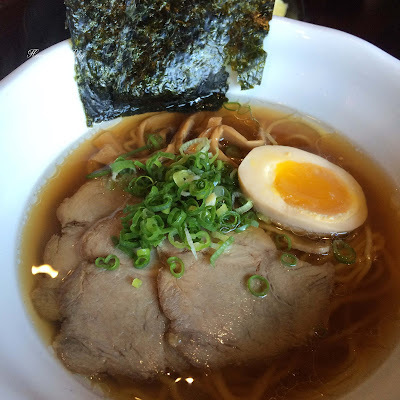 I ordered the Shoyu Jidori Ramen. The broth was light, yet very flavorful, and I, along with my kids, kept slurping away at the wavy, chijire noodles. Service was prompt and friendly, and our family had a great meal at AGU!